Strike up a conversation with Ethan Schlemer and your day is sure to be made. With warmth and enthusiasm, he jumps from his love of climbing, to his interest in biology, to his passion for helping others. 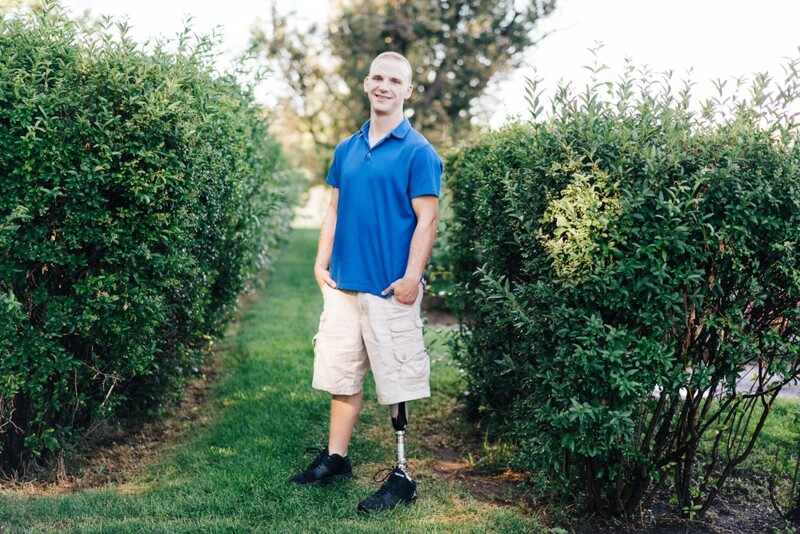 “I want to become a Physical Therapist to help other people because I’ve had so many people help me,” says 25-year-old Ethan. 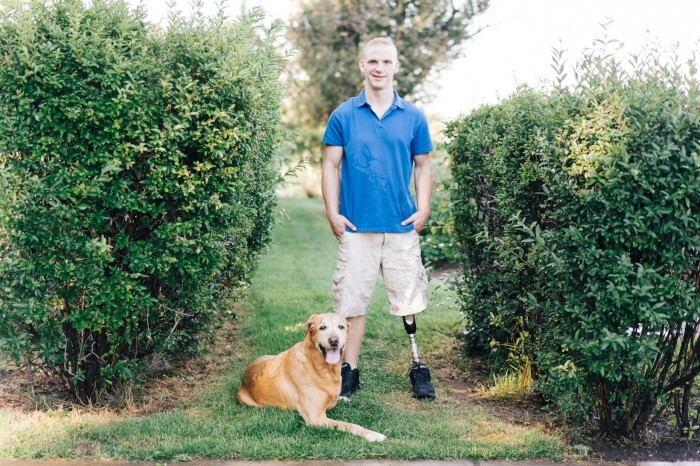 In 2012, after noticing a bump on his shin, he was diagnosed with spindle cell sarcoma. Under the care of Dr. Ann Stroh at Cancer Care in Northern Colorado, Ethan did six chemotherapy treatments. When it came time for a limb-salvage surgery, he was referred to orthopedic oncologist Dr. Cynthia Kelly and plastic surgeon Dr. Conrad Tirre of the Colorado Limb Consultants. Unfortunately, Ethan faced many complications; his internal prosthesis broke and became chronically infected. In 2014, Ethan elected to have an amputation. “By then, it wasn’t a tough choice. My cancer was cured, but for two years I had been dragging around a half-dead leg. We gave it the best we could, but I was ready to start moving again.” And move he did! Within a month of his surgery, Ethan was walking in a prosthesis with the help of Greg Brauntz and the team at Rebound Prosthetics. “I can do everything I did before I had cancer. I love to climb and hike.” He views this experience in an extremely positive light, saying that it made him closer with his family and improved the way he lives each day. When asked what brings him the most joy in his life, Ethan bursts into a smile and says, “waking up every day”. Dakota is an 8-year-old Labrador Retriever who was diagnosed with osteosarcoma in October of 2015. The diagnosis came as a shock to Dakota’s parents, who were initially opposed to amputation. With the guidance of their medical team at Colorado State University Animal Cancer Center, they elected an amputation and moved forward with chemotherapy treatment.